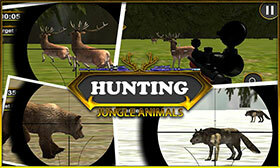 Hunting Jungle animals – hunt various wild animals in thick forests. 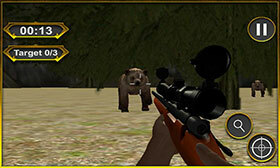 Aim carefully and shoot your game with a sniper rifle. 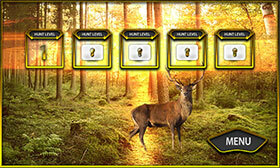 Become an experienced hunter in this Android game free download. Explore lush forests with wolves, bears, deer, and other animals. 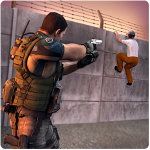 Choose your game and try to shoot it down. Be careful, animals can notice you ahead of time. 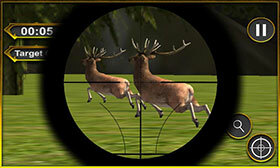 Try to sneak up as close as possible and kill your game with one shot or it may escape from you.